Clear visibility of equipment and the designated work zone, as well as other specific safety protocols, needs to be established by aerial lift workers to minimize hazards and prevent accidents like the recent news story from happening. 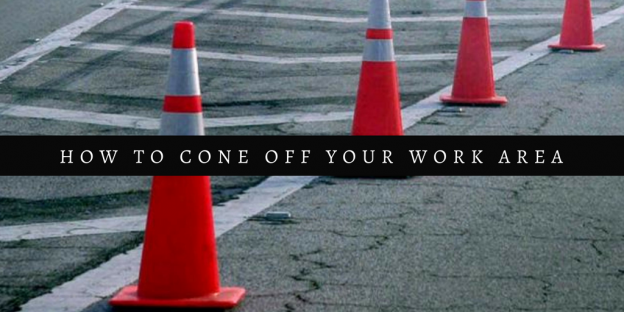 When marking a work area, it is important to know of the different zones to cone off to provide plenty of advance warning to drivers. The TTC (temporary traffic control) can be broken down into four main sections: the advance warning area, the transition area, the activity area, and the termination area. The advance warning area is the section of highway or road where drivers are notified of the upcoming work or incident. On urban streets, the placement of the advance warning should range from 4 to 8 times the speed limit in mph. For rural highways, the range is between 8 to 12 times the speed limit in mph. The transition area is the area of road where drivers are redirected out of their normal path. It usually consists of the strategic use of tapers, which are sections of channeling devices like cones. The activity area is the section of highway or road where the work activity is taking place and is usually marked off by cones to redirect drivers. The work activity area is closed to road users and is used for workers and equipment like aerial lifts. The termination area is the section of road where drivers are returned to their normal driving path. It extends downstream to the “End Road Work” sign. A taper is the length of channeling devices that is used to redirect road users to a different path. It is important for workers to understand how to position them properly. Follow the proper temporary traffic control protocols and ensure all workers are trained in aerial lift certification to further prevent accidents from happening.